Jotto Desk, the leading innovator of no holes drilled laptop mounts and equipment consoles for mobile work forces answers demand and creates enterprise-class mobile office solutions with acquisition of Kodiak Mobile. 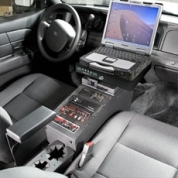 May 08, 2009 � Rogers, Arkansas, Jotto Desk, the leading innovator of no holes drilled laptop mounts and equipment consoles for mobile work forces creates enterprise-class solution with acquisition of Kodiak Mobile Docking Stations. By adding the ability to manufacture its� own line of docking stations, Jotto Desk will redefine the mobile work space and expand its� portfolio of high quality products and ability to deliver maximum value to customers. As field force automation continues to grow, Jotto Desk will be able to provide real applications that exceed customer expectations in the following vertical markets: Law Enforcement, Electric, Telco, Military, EMS, Fire, Construction, Insurance, Real Estate, Agriculture, Oil, Gas, Transportation, Warehousing, Food Distribution, Surveyors and more. Kodiak Docking Stations are turn-key solutions totally automated with �intelligent" power management systems, charging and many laptop protections. Kodiak also offers integrated Global Positioning Systems (GPS) for applications requiring this feature. All Kodiak docking stations are MIL-STD 810E tested for vibration and impact. These rugged units are designed from the ground up for in-vehicle applications in harsh conditions.